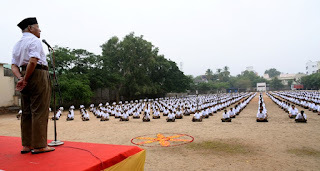 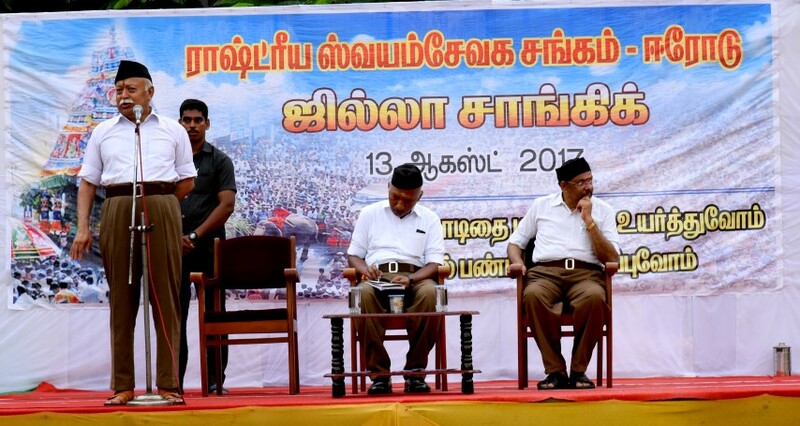 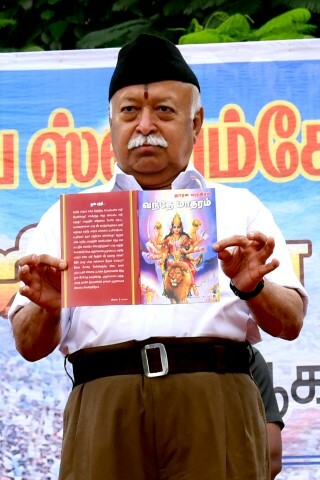 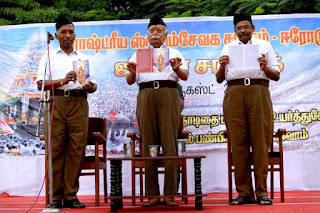 Mammoth Sanghik was organized in Erode wherein RSS Sarsanghachalak Mohan Bhagwat addressed the swayamsevaks. A book on 'Vande Mataram' was released by Shri Mohan Bhagwat along with Kshetra Sanghachalak Vanniyarajan Ji and Prant Sanghachalak Dr. M L Raja. 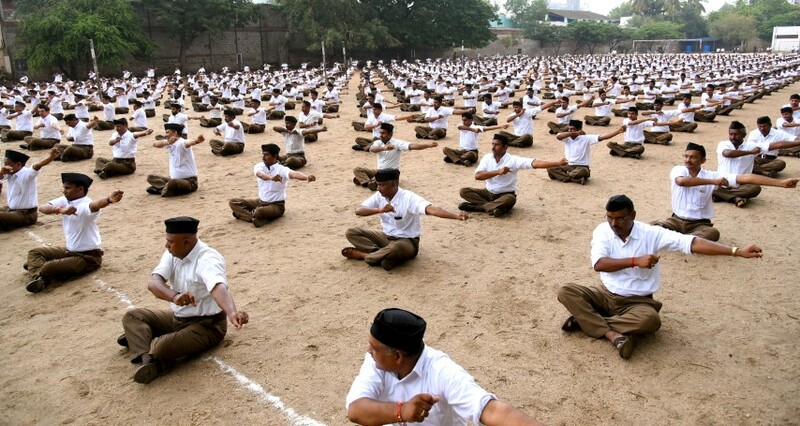 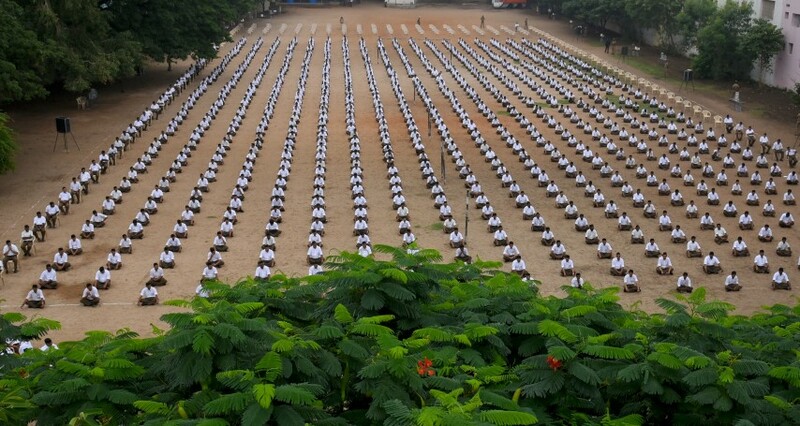 Around 910 swayamsevaks participated in the Sanghik. 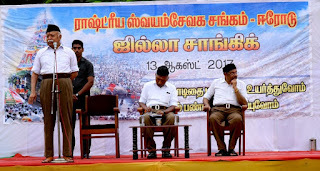 It is to be remembered Bhikaiji Rusto Cama proposed a resolution at International Socialist Conference and unfurled the tricolor Hindustani flag and today (13th August) happens to be the Punya thithi of Madam Cama.